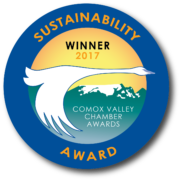 Comox Valley Project Watershed Society (PW) has launched an initiative to acquire and restore the old Fields site to a natural state to meld into the “Hollyhock Flats” conservation area adjoining the south end of this industrial property. Our vision incorporates one large contiguous conservation area with streams, wetlands, trails and signage for public education about estuary ecosystems. Important habitat for rearing and migrating salmon would be created and safer passage for spawning fish provided to replace the “killing zone” along the steel sheet piling which currently exists. The restoration work would also include naturally sloped shoreline and saltmarsh vegetation, as exemplified in Hollyhock Flats, to help prevent erosion and mitigate flooding and storm surge events. Saltmarsh is also known to have superior carbon sequestration properties (Blue Carbon). It is important to note that much of the agricultural land east of Comox Road in this area is in the RD and owned by Ducks Unlimited, BC Nature Trust and NCC for conservation purposes. We have been working with Artist Robert Lundquist to make our vision more tangible. With our input he has created the image at the top of this page as well as the video below. The video was created using footage captured with drone technology. We feel that a safe and enjoyable walking/cycling route between Courtenay and Comox could begin with this project and, with the cooperation of all jurisdictions and stakeholders, become a reality in the future. We have unanimous support in principle from the City of Courtenay to pursue this initiative and they have assigned two councillors to work with us. We have been having full discussions with the Nature Conservancy of Canada (NCC) throughout this process and are optimistic about their partnering in this extensive project. We have had an initial meeting with International Forest Products (Interfor), the owners of the site, and continue to communicate with them regarding the property. 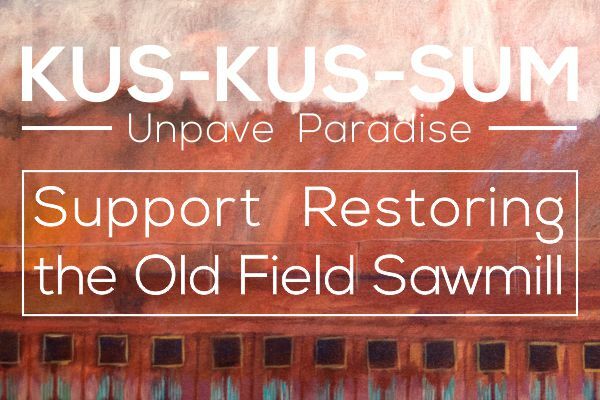 If you are interested in funding our Fields Sawmill work don’t hesitate to get in touch with us. Donations can be made directly to this initiative! Contact us at projectwatershed@gmail.com or call 250-703-2871.